The UK Championship club made the announcement through its website yesterday stating that the 30-year-old playmaker had sought a release and was granted it on compassionate grounds. 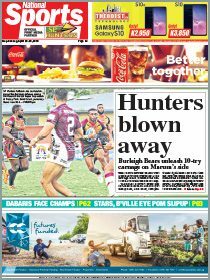 SP PNG Hunters coach Michael Marum confirmed the news yesterday saying he had been in contact with Boas throughout the week and was expecting the former Hunters captain back in the country by the weekend. 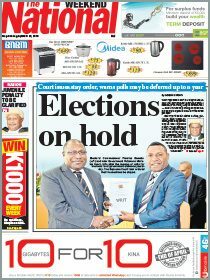 “I’ve in contact with most of our boys in the UK and he told me he was coming back home,” Marum said. Marum said kept in contact with his former Hunters players to make sure they were fitting in well in their new surroundings and adjusting to the demands of being a professional footballer overseas. “Ase has some personal issues that he’ll explain when he gets here but I disappointed he didn’t stay longer over there. “The Hunters programme is all about gettin our players to overseas clubs and competitions and for them to become better footballers,” he said. Marum said Boas was “always a Hunter” when asked whether he would consider taking the talented and experienced playmaker back. Boas along with younger brother Watson signed a one-year contract at the end of last season to join Featherstone along with centre Thompson Teteh. He made five appearances for the club including a try-scoring home debut against Batley Bulldogs and kicking two goals in the team’s 46-16 victory over Halifax. “Everyone at Featherstone Rovers would like to warmly thank Boas for his contribution to the club and wish him and his family all the very best for the future,” the club said.